The future of architecture is upon us, and thanks to a team of researchers led by Sasa Jokic and Petr Novikov, construction workers may soon be made obsolete. A team from the Institute for Advanced Architecture Catalonia (IAAC) is currently tackling the challenge of making “mini-builders”: drones that are capable of applying 3-D printing at a large, architectural scale. While the minibuilder robots are original inventions, the idea of using robots to 3-D print architecture is not a new one, and many, including a team from Gensler Los Angeles, are exploring the usefulness of the technology. The idea dates back to 2008 when Caterpillar began funding Behrokh Khoshnevis of the University of Southern California. These mini-builders are unique because of their relatively tiny size, which makes them easier to mass produce and much more convenient to haul places. 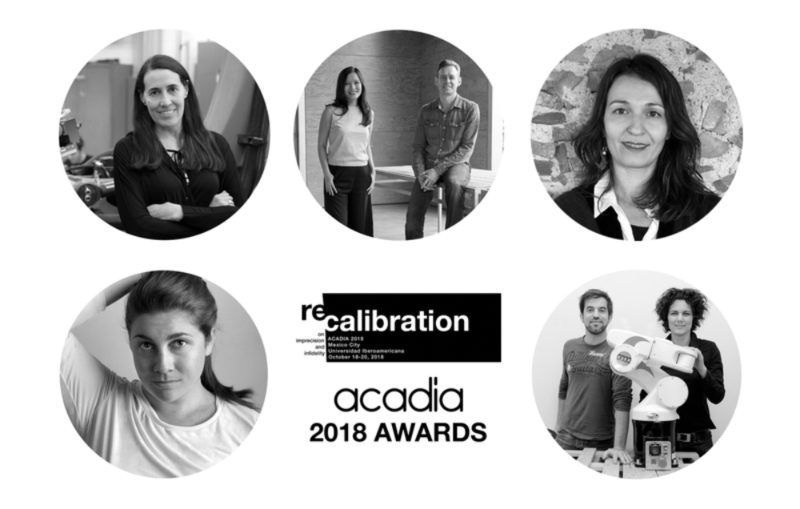 Currently there are three robots that have been unveiled to the public by the IAAC team: the foundation robot, the grip robot, and the vacuum robot. The foundation robot is equipped with tracks and a sensor to keep it in position and lays down the base of the structure for the other two robots to work on. Next, the grip robot actually attaches itself to the structure via rollers and is responsible for raising the printed structure vertically. Finally the vacuum robot utilizes suction cups to cling onto the surface of the structure and reinforces the walls. 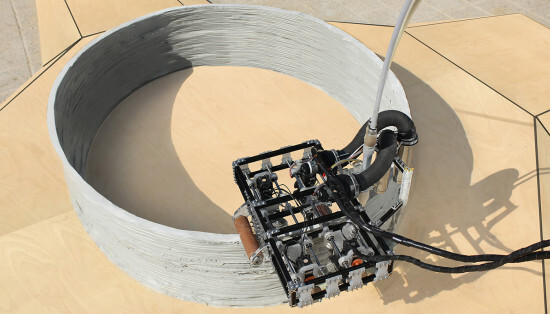 The robots are currently working with concrete as a building material.